Whether you’re a first time planner or an old pro, planning a 5k run is hard work. It’s no task to be taken lightly! Besides all of the particulars that revolve around making sure your event is safe and abides by all the rules, you also have to create something that people are truly excited to attend. Before you launch into the finer details of 5k planning, you first need to decide on a theme that speaks to your target runners. Here are a few theme ideas for your 5k that will be hard to ignore by your target runners. A lot of 5k runs find success by planning their event around a holiday theme. This could be a lesser-known holiday/event (like Oktoberfest), or a widely celebrated event like Thanksgiving or Christmas. It may seem counterintuitive to try and gather participants when they’ll likely have a lot of other holiday plans, but these races tend to attract families and friends who are interested in doing something together after a long separation. Lesser-known holidays/events are fun, too, because they often go uncelebrated. When you find and take advantage of a lesser-known holiday, you could use it as an opportunity to associate yourself with it in your community – a priceless branding method. If your organization has a natural connection to a holiday, you should definitely consider using it as a theme idea for your 5k! It’s hard for runners to ignore the allure of a 5k run that offers the chance to exercise, and the chance to indulge on delicious food and drink immediately afterwards. The best part of these 5k runs is that you really feel like you’ve earned whatever delicious treat you snack on at the end of the race! 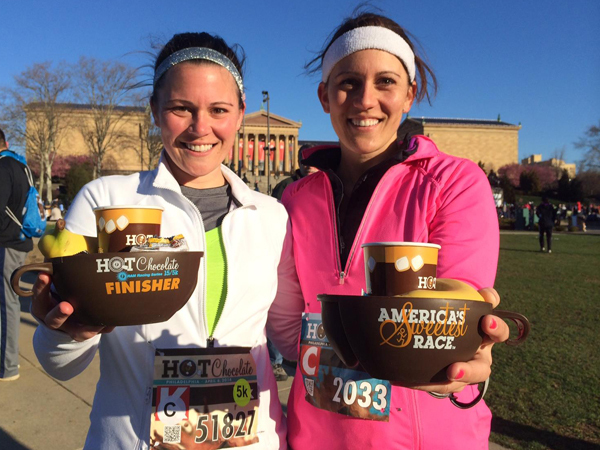 The Hot Chocolate Run is a cold weather run that finds success by appealing to America’s love of chocolate. You may opt to focus instead on beer, donuts, candy, or other indulgences, depending on your audience. There are some truly outrageous dress up runs if you look hard enough, but the key to planning a successful 5k run with a dress up theme is to keep things as simple as possible. Make it possible for anyone to join in and have fun – don’t require an expensive costume. Instead, offer a prop as a sign up incentive, and encourage people to build their own costumes. These 5k runs tend to result in the best pictures, which will make advertising for the next year easy as pie! You’ve probably seen advertising for (or participated in) a color run of some sort. Some take place during the day, others feature an ethereal course with glow in the dark lights and course markers. Either way, the visuals will be stunning. This theme idea for your 5k also tends to result in pretty amazing photography for participants and for you, the race organizer. This theme idea for your 5k is not for the faint of heart. By adding obstacles, or additional liabilities as your lawyer may remind you, you’re asking for a lot more paperwork and more expenses to insure the event and build obstacles. 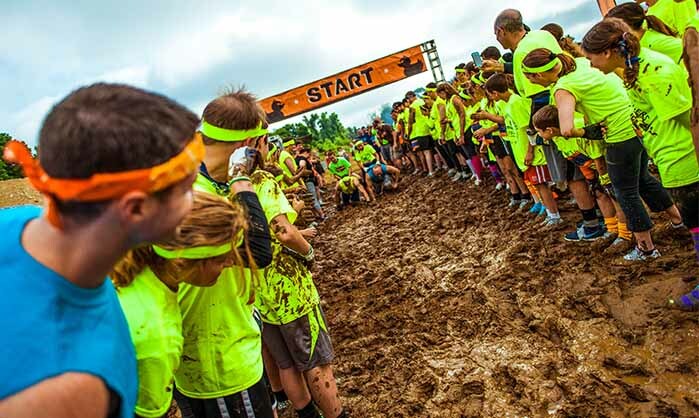 However, mud runs and other events with obstacles tend to be the most fun 5k events. These events are some of the most talked about and widely attended. It’s worth considering if your organization has the funds and willpower! 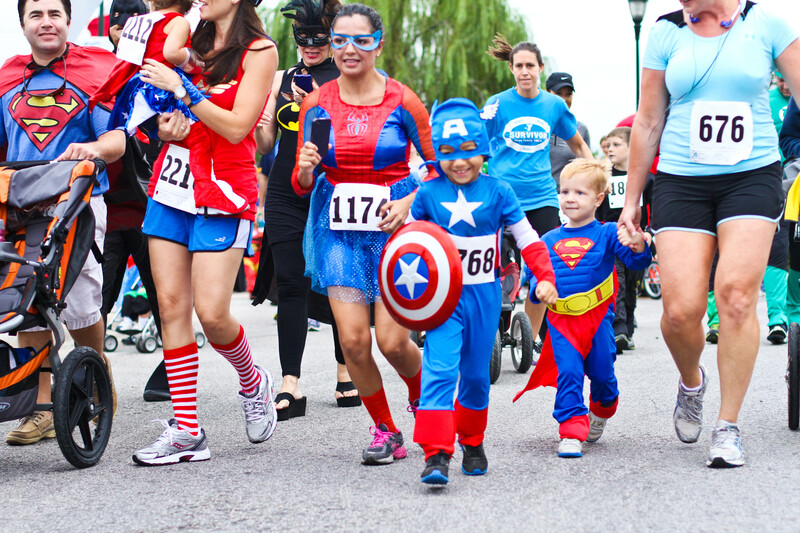 There are so many different ways to organize a 5k and choose a compelling theme. Which of these fits the purpose and demographic of the runners you’re trying to target? We’d love to hear what’s worked for you in the past when picking theme ideas for your 5k!